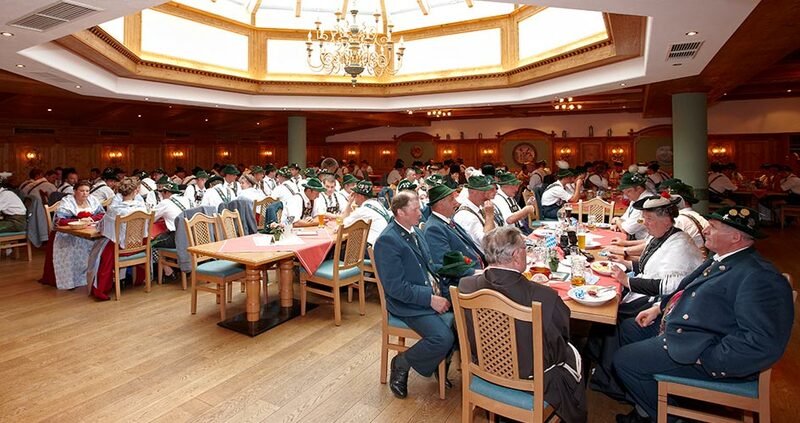 with 60 to 200 seats and a stage, it provides an ideal setting for large events of all kinds. 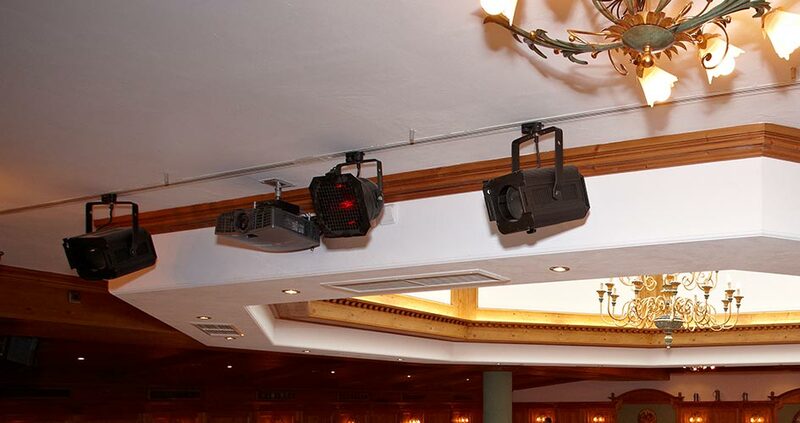 Whether a wedding, meeting, company meeting, Christmas party and musical events – the available space and technical equipment meets all requirements. The hall is operated independently from the inn with its own bar and separate kitchen. Daylight enters through the large dome. Sensors provide automatic regulation, and where appropriate, the room can also be completely darkened. 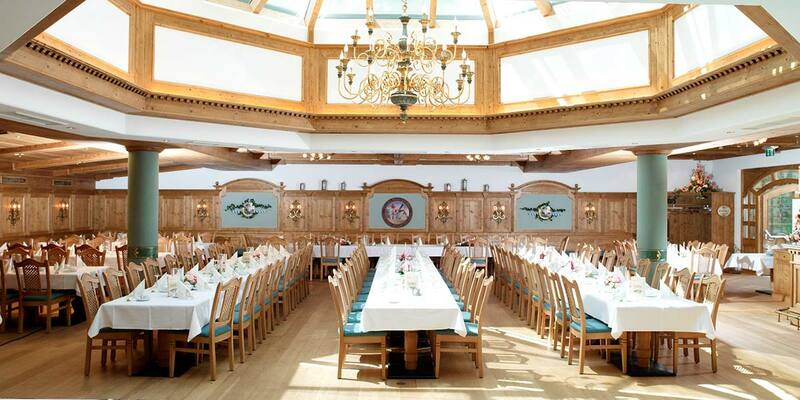 The Bavarian-rustic decor gives the room a cosy atmosphere despite its generous size. Therefore you stay like to longer on here even if the guests have started to thin out. Services: Bar, tile and hardwood floors, walls with wooden panelling, wooden beamed ceiling, cloakroom, daylight illumination through dome (7m x 7m) (darkening possible), dance floor, separate banquet kitchen, direct access via the beer garden and restaurant, very good ventilation. Technology: projector, screen, high-speed Internet access, Bose sound system, telephone, microphone, wireless microphone, flip chart, wireless presenter, DVD recorder, various stage lighting, power rail, electrical outlets, power connections. Size: Area 250 m² (15m x 16m) Stage: 24 m² (4m x 6m) Seats: Normal seating for about 180 people Atmosphere: Bavarian rustic, unique Prices: Rent for facilities, and costs for technology and technician on request.